Stretch It to the Limit! What’s the first thing you think about when you wake up? What about the last thing before you go to bed? Flexibility is probably not what comes to your mind, but it should be! Maintaining flexibility and regularly practicing stretching is something that is extremely under-utilized. Did you know that the American College of Sports Medicine (ACSM) recommends that you stretch 2-3 times a week? Flexibility is important to your overall health and wellness and can be maintained by taking a few minutes out of your day to stretch. You might be thinking, “Why do I need to stretch? What good is it going to do me if I’m driving all day?” Surprisingly, stretching is one of the best exercises you can perform while being on the road. 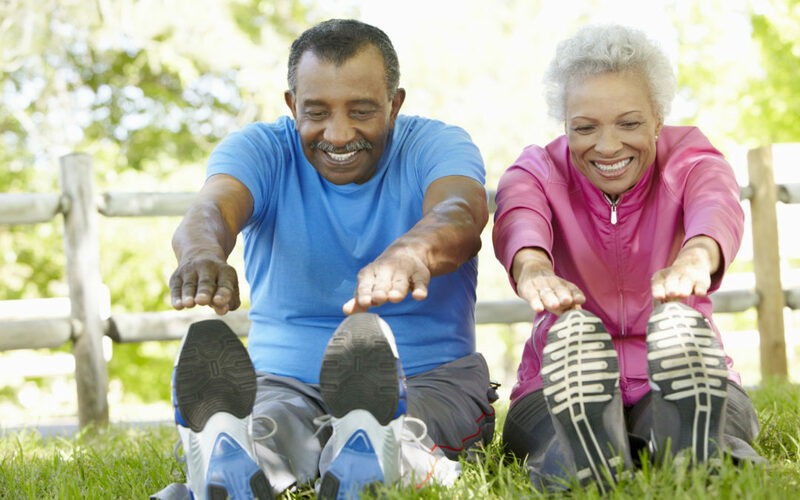 Stretching helps keep the muscles flexible and healthy, and increases blood flow and range of motion at the joints. As a truck driver, the majority of your day is spent sitting down with your knees bent in the driver’s seat. When your knees are bent, the hamstrings (the muscles in the back of your legs) are constantly shortened. Over time, when you go to stand up, you may feel a slight ache or tightness in your hamstrings or lower back. A regular stretching routine can go a long way to help keep those muscles free from chronic pain. Most truck drivers complain of chronic low back pain, which is typically due to tight hamstrings. When you have tight hamstrings they begin to pull on the muscles above them, which in this case are your gluteal muscles. If the gluteal muscles are tight, they begin to pull on the lower back muscles, which cause low back pain. It becomes a domino effect, but stretching on a regular basis could rid you of chronic pain!